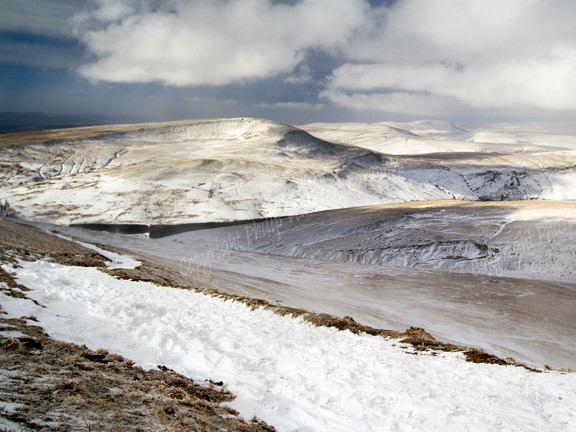 Philip Veale Photography: Fan Fawr and the Black Mountain Range in winter. Fan Fawr and the Black Mountain Range in winter. A snow covered Fan Fawr with the Black Mountain Range in the distance. Location: Corn Du, Brecon Beacons.